Simon Jones has had a very long career in horse racing, not only as a jockey, but for having also worked and collaborated with different trainers. Originally from Australia, he started his career as an apprentice-jockey in 1977, for trainer Brian Mayfield in Sydney. He then rode for the likes of G.E.Purcell, E.F.Cameron, Charles Leck, and in Malaysia and was also a Club Jockey in Macau. 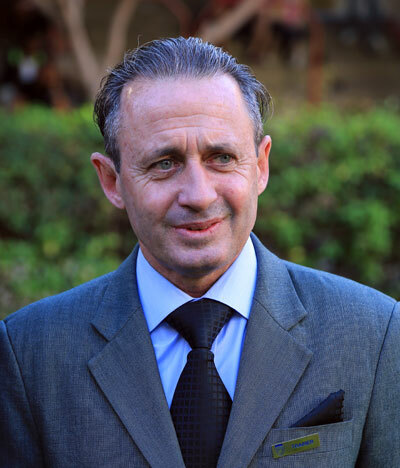 In Mauritius, he has worked with Guy Fok, Patrick Merven, Alain Perdrau, Richard Duval, Serge Henry, Chitranjan Ramdin, Budheswar Gujadhur and Shailesh Ramdin, as jockey, stable-supervisor and assistant-trainer. He became a fully-fledged trainer in 2016 and it was an honourable season, as he picked up 13 wins. He did even better in 2017, scoring 21 wins. After a somewhat disappointing 2018 season, he will be looking to improve in 2019.